Type Rating Training: Why Choose Alliance Pilot Academy? The only question that remains is whether you are going to get on board, or if you are going to miss the plane. Should you choose to take off on a new path, you’ll soon be soaring to new heights with the type rating training you need in order to become an airline pilot and land a job flying for the top commercial airlines in the world. 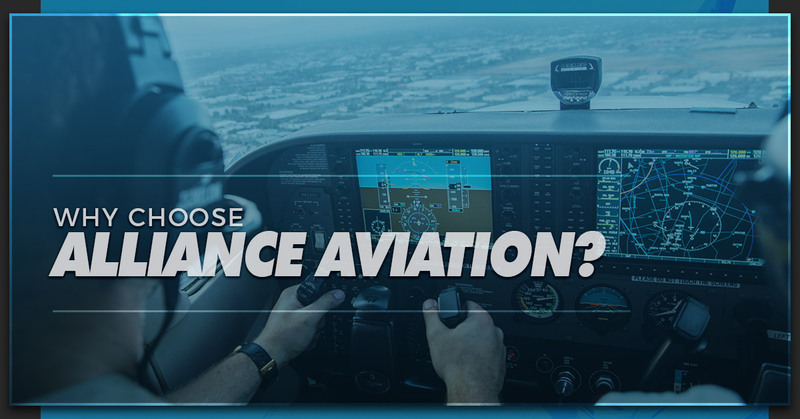 Whether you’re an experienced pilot in any part of the world, looking for an a Type Rating in the U.S., or you’re hoping to convert your foreign license to a full FAA ATPL on Airbus or Boeing aircraft, Alliance Aviation is here to help. We are happy to cater to international pilots looking for type rating training in the United States, because we know how difficult it can be to break into the industry without the proper support and guidance. Learn from experienced aviation professionals at our state-of-the-art Miami flight training school, utilize the best flight simulators in the world from our partners at Avenger Flight Group, and even take advantage of our fixed installment payment plans for international pilots. Why should you choose Alliance Aviation in Miami for your type rating training? It’s simple: our goal is to train the next wave of domestic and international pilots who dream of flying the friendly skies with a major commercial airline. Keep reading to learn a few additional benefits of our U.S. type rating training programs, and enroll at Alliance today to take flight on a new career and a new future. Whether you need Ab Initio training or you want to be prepared to earn a type rating for a major commercial aircraft, the instructors and courses at Alliance can help. With the current shortage of airline pilots becoming more and more drastic, we want to make it possible for international students to achieve their goals and receive the training that they need to become an airline pilot in the United States. Our state-of-the-art flight training programs will help set you apart from the pack and prepare you for a career. No matter what type of flight training you seek, the trained professionals at Alliance Pilot Academy are capable of guiding you down the runway. From Type ratings training in Boeing, Airbus, and ATR or ATP-CTP training, to specific programs made for India DGCA pilots, we are your one-stop hub for all things aviation. At Alliance , we are determined to give you the most bang for your buck while providing comprehensive, applicable aviation training. We are an FAA Part 142-approved pilot school, and we’re also SEVP approved for international pilots. You can complete your type rating training in just 16 days hours or fewer, with personalized instruction and experience, and take advantage of our on-site FAA testing center. Our Miami flight academy is truly the best value among other small and large schools. Are you ready to take flight? Learn more about Alliance Pilot Academy and enroll today.